Although all parties agreed to defend Tunisian women’s rights, some of the most advanced in the Arab world, Ben Amor said they could not agree to some feminists’ demands to have the country’s liberal Personal Status Code written into the constitution. “No constitution in the world has that,” he explained. These rights would be protected through legislation, he added. About a third of the representatives in the newly elected assembly will be women — more than anywhere else in the Arab world, and twice the percentage in the US Congress. Observers of events in Tunis have reported that radical factions have harassed women to dress more traditionally. About 500 women gathered in the capital to protest these developments, and were granted a meeting with Prime Minster Beji Caid Essebi to raise their demands. The campaign created the conditions for aggressive and intimidating public shows of zealotry. Anecdotally, I’ve heard two stories of lesbians and gay men being harassed on the streets or in taxis during and after the election. In an alarming incident two weeks before the poll, the offices of a TV station that showed Marjane Satrapi’s film Persepolis — about religious oppression of women in Iran — were attacked and defaced by a crowd of Islamist men and women, some armed. The best way to deal with Islamist parties … is to include them in government and hold them accountable. 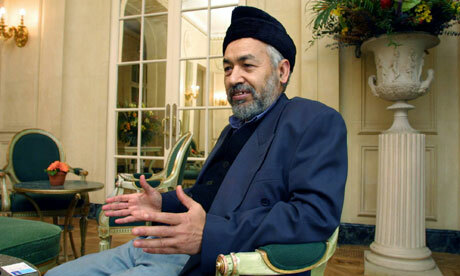 … Ennahda understands that it can’t ignore the secular part of the electorate. If the party wants to be as successful in Tunisia’s next election after a new constitution has been written, it knows it needs to present moderate views. Over the next few years, other parties will have a chance to develop in Tunisia and Islamists are likely to get a lower percentage of the vote next time around. … While they may be part of leading coalitions in various countries, they are unlikely to gain power outright in any country. This entry was posted in Human Rights, LGBT Rights, Politics, Sexual Rights, Uncategorized and tagged al-Nahda, Arab spring, Arab world, elections, Ennada, Ghannouchi, Islamism, Tunisia by scottlong1980. Bookmark the permalink.